1-2. -3. -4. -5. -6. -7.-8.-9. -10. -11. -12. I have been loving all things comfort right now! You can usually find me in dresses or wearing something extremely casual. This Summer not only am I recovering from having a baby, I am also chasing around a very active toddler! Just yesterday I started working out again and I am excited. I am excited to get back in shape and feeling like myself. You know it is time to get working out again when your work out clothes are getting snug! YIKES. 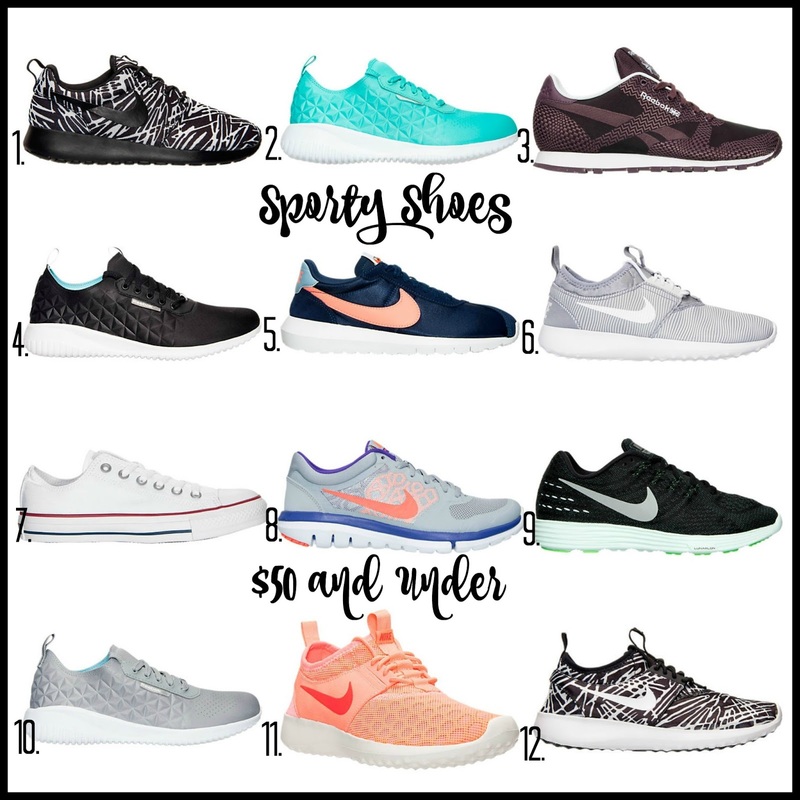 So I did what most do and got some cute things to go along with getting in shape and I wanted to share some cute shoes I found for under $50. These items can be worn everyday and most can be worn while working out as well. Which ones are your favorite? I ended up getting #11 and I already have #7. Even though the Converse #7 aren't for working out seriously EVERYONE should own them! They are cute with jeans, shorts and dresses. They are a staple piece in my weekly outfits.